SnapSeaarch operates as an extended Recruitment and Training arm for its clients. SnapSeaarch has evolved as one of the fastest growing Human Resource solution brand with expertise in services like ‘Permanent Hiring, Volume Hiring, Support Services, and Training Services across the Globe for the countries like Middle East and South East Asia. Since its inception in 2003, Pharmahood consultants (now Snapseaarch) was termed as the same, for catering to lateral and leadership hiring in Pharmaceuticals. Our unique approach with all 3 quotients – Intelligence, Emotional and Hardworking has referred us to the precious clients across the 17 different industries. Hence it has helped us to bag exclusive recruitment rights and training needs for many MNCs into various different industries like EPC, Manufacturing, Healthcare, Retail n FMCG, Financial services, IT etc. Our forte is exclusive search and head hunting for senior and middle management profiles. Our USP is our ability to understand and bridge the gap between candidate abilities and corporate needs thereby becoming instrumental in changing talented individuals into human assets for our esteemed clients. We aim to forge strong, sustained relationships with our clients by creating value for them. Our success is defined by the trust shown by our clients who come back to us thus reinforcing their faith in our high-quality services. SnapSeaarch envisages to carry forward the legacy of Pharmahood Consultants, that encompass Speed and Quality as the prime factors in our service to the clients. To harness the success of our leadership and lateral hiring model to the other services as an extended arm of HR. With this we commit to retain our position amongst the Top 3 Preferred recruitment business partners for our long-standing clients and will strive for trustworthy association with the new business relationships. 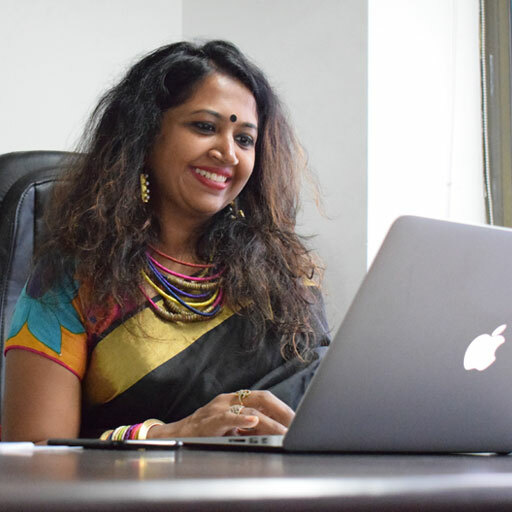 Ashika Dhokai, founded SnapSeaarch (formerly known as PharmaHood Consultants) in the year 2004 and has successfully grown the organisation in this decade’s time. Ashika, an MBA (Marketing) grad. comes with a rich experience of over a decade in the Healthcare industry, having worked with companies such as Alembic, Zydus Cadila, and Modi Mundi Pharma. She leveraged on this expertise coupled with her passion for Manpower Hiring Services to the Healthcare market and that is how the organisation was born.She founded the company with a view to cater to the Leadership hiring needs of the Healthcare industry. Eventually Over these 13 years Ashika has grown SnapSeaarch from a mere Healthcare Recruitment Vendor to a Recruitment Services Partner across 17 different verticals. Today SnapSeaarch caters to a variety of services including Leaderhsip Hiring, Expat Hiring, Volume Hiring, and additional Support Services. She has been a strong pillar and the backbone for the organisation, mentoring and guiding the team at every stage of this growth. She herself is involved with each client account and has been running the show with “Customer Satisfaction” as the key focus of service delivery. A testimonial to this has been the fact that 71% of our current business today comes from our repeat clients.